Medication non-adherence is a major impediment to the management of cardiovascular disease risk factors. A better understanding of the modifying factors underlying medication non-adherence among individuals with known cardiovascular disease may inform approaches for addressing non-adherence. The purpose of this study was to identify demographic and patient characteristics, medical comorbidities, psychosocial factors, and health belief-related factors associated with medication non-adherence among patients with known cardiovascular disease. We performed secondary analysis of baseline data from a randomized trial. The study included 405 patients with a diagnosis of hypertension and history of acute myocardial infarction that was diagnosed within a three-year period prior to enrollment. Baseline demographics and patient characteristics, medical comorbidities, psychosocial factors, health belief-related factors, and patient-reported medication non-adherence were analyzed. Of 405 patients, 173 (42.7 %) reported medication non-adherence. 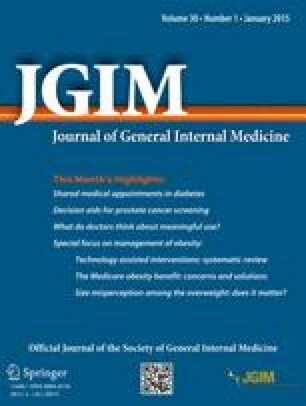 Factors associated with non-adherence in bivariate analysis included younger age, non-white race, having less than 12 years of education, smoking, financial insecurity, identifying as nervous or tense, higher life chaos score, greater worry about having a myocardial infarction, and greater worry about having a stroke. Using multivariable modeling, we determined that age (OR 0.97 per additional year, 95 % CI, 0.95–0.99), life chaos (OR 1.06 per additional point, 95 % CI, 1.00–1.11), and worry about stroke (OR 1.12 per additional point, 95 % CI, 1.01–1.25) remained significantly associated with self-reported medication non-adherence. We found that worry about having a stroke, higher life chaos, and younger age were all significantly associated with self-reported medication non-adherence in patients with cardiovascular disease and a history of myocardial infarction. Further research exploring these factors as targets for intervention is needed, as is additional research examining modifiable causes of medication non-adherence among patients with cardiovascular disease. This study was supported in part by an award from the American Heart Association-Pharmaceutical Roundtable and David and Stevie Spina. Dr. Crowley is supported by a VA Health Services Research and Development Service Career Development Award (CDA 13-261), as is Dr. Zullig (CDA 13-025). Dr. Bosworth is supported by a Research Career Scientist award from the VA’s Health Services Research and Development (RCS 08-027), and has received honoraria from Takeda Pharmaceuticals, CVS/Caremark, and Sanofi Pharmaceuticals. Dr. Shah is a consultant for Castlight Health LLC, Janssen Pharmaceuticals, Cytokinetics, BMS, and Pfizer. Dr Peterson has received research grants from BMS/Sanofi, Merck/Schering, and Lilly. All other authors report no disclosures. These data have not been presented previously. The authors each declare that they have no conflict of interest. Patients asked, “Do you have someone you feel close to, can trust, and confide in?” with responses yes/no. Centers for Disease Control and Prevention. Heart Disease Facts. Available at: http://www.cdc.gov/heartdisease/facts.htm. Accessed June 9, 2014. World Health Organization. Adherence to long-term therapies: evidence for action. Noncommunicable Diseases and Mental Health Adherence to long-term therapies project. http://www.who.int/chp/knowledge/publications/adherence_introduction.pdf. Accessed June 9, 2014.